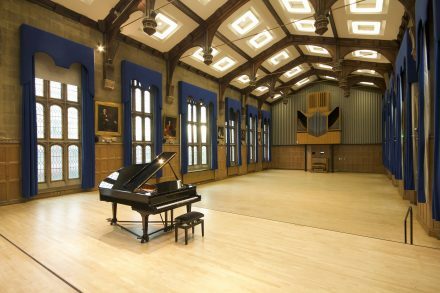 Most of the University of Shefield concerts are held in Firth Hall, within the stunning Edwardian Firth Court at the heart of the university central campus. At Firth Hall there is a lift and ramp for wheelchair users. Please speak to the Concerts Team when you arrive who will be able to assist you.